Twenty-Five years on Larry Heard’s production still stands the test of time, as Black Market Records reissued Heard’s ‘The Housefactors – Play It Loud’ EP from 1988 in March of last year. Black Market began as a weekly Friday night party started by Rene Gelston at London’s WAG nightclub circa 1984. As the night grew in popularity (Timeout magazine stating “when Black Market sneezes, clubland gets a cold”), they expanded their parties to Milan, Paris & in a bold move, started a residency in New York. From there Gelston along with producer Steve Jervier decided to open up Black Market Records back in London. The store played a fundamental role during the UK’s “Summer of Love” illegal raves, with lines of people outside the store causing chaos for nearby roads & other shop fronts. 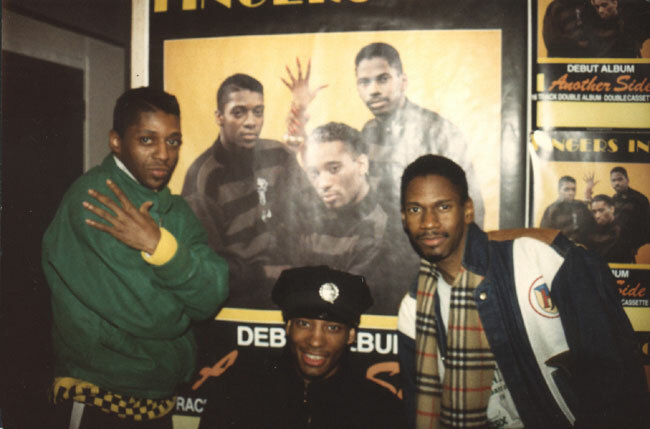 In 1984 Heard, who grew up living opposite Robert Owens & down the road from Frankie Knuckles, decided to start a label with close friend Donny Hardy. However to be on the safe side, Heard released his first three EP’s without a label name on the record. This is first of only two releases under the ‘Housefactors’ moniker, the second being ‘The Big Bang Theory’ released in 1990. Heard’s layering & attention to detail on ‘Play It Loud’ is an incredible, relentless assault of sharp hi-hats & punching 909’s held together with hypnotic tribal drums. Weighing-in in just a touch over eight minutes, the versatility of this 25 year old track is a testament to the already well publicised genius mind of Heard. The underrated B-Side contains ‘Go Crazy’ & ‘Freestyle’, tracks which are punctuated by rapid fire snares, computer blips & warped drum machine patterns. A far stretch from the soulful vocals & melodic beats created by Fingers Inc, however those familiar with the Gherkin Jerks, would recognise Heards raw, frantic & darker side to his production.